VoIP has been a game changer when it comes to price. Although every worker has a cell phone these days, using a cell phone for business purposes does make it harder to reach employees that aren’t in the office. 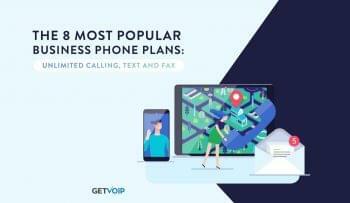 Fortunately, VoIP providers offer business models that make it easy for a business owners and customers to connect to remote workers as easily as if they were in the same room. Per-minute plans, sometimes known as Entrepreneur Plans or On-The-Go plans, are as popular as services that give unlimited minutes and charge by the number of users. Proof of that is RingCentral Professional. RingCentral has high end plans with the ability to conference a thousand people, but they also offer smaller plans that give the smallest businesses the same tools as Fortune 500 companies. RingCentral is wisely catering to businesses of every size. OneBox has plans that charge per minute, but that provider too offers services for both smaller and larger businesses. 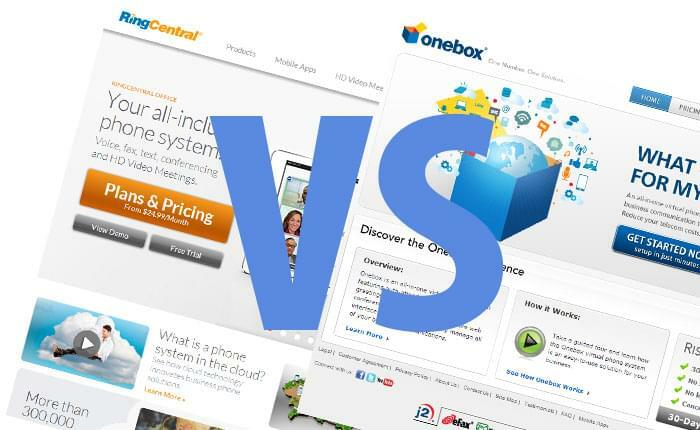 In this review, we’re going to look at RingCentral and Onebox, and see how both their small business and large business offerings compare. RingCentral has three Professional plans. Pro: $9.99/mo – 2 extensions, 300 minutes, 4.9c add’l minutes, includes paperless fax. ProPlus: $19.99/mo – 5 extensions, 1,000 minutes, 4.4 c add’l minutes. Includes dedicated fax number and dial-by-name directory. ProPower: $24.99/mo – 10 extensions, 2,000 minutes plus 1,000 inbound toll-free minutes, 3.9c add’l minutes. Includes dedicated fax number and dial-by-name directory. Additional virtual extension: $2.99/mo each. Additional toll free or local number: $4.99/mo each. Premium and Enterprise subscribers get Salesforce CRM integration and automatic call recording at no extra charge. RingCentral Professional plans give you your choice of a toll-free number or a local number. There is no extra cost for toll-free minutes, although ProPower plans get an extra 1,000 toll-free minutes. RingCentral Standard subscribers get 1,000 free toll-free minutes. RingCentral Premium subscribers get 2,500 free toll-free minutes. RingCentral Enterprise subscribers get 10,000 free toll-free minutes. Note that although the minutes are included, Office subscribers must pay an additional $4.95/mo for the toll-free number. Onebox has three Executive plans. 100 Plan: $16.95/mo – 100 minutes, 10c add’l minutes. 400 Plan: $19.95/mo – 400 minutes, 10c add’l minutes. 2000 Plan: $24.99/mo – 2,000 minutes, 10c add’l minutes. 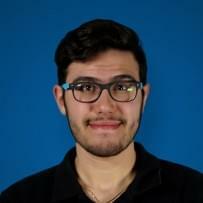 Onebox has three Receptionist plans. 2,000 Plan: $49.95/mo – 4 extensions, 2,000 minutes. Extra extensions $11.95 includes extra 100 minutes, 4.9c add’l minutes. 3000 Plan: $79.95/mo – 10 extensions, 3,000 minutes. Extra extensions $9.95/mo includes extra 100 minutes, 3.9c add’l minutes. 4000 Plan: $99.95/mo – 15 extensions, 4,000 minutes. Extra extensions $7.95/mo includes extra 100 minutes, 3.9c add’l minutes. 12000 Plan: $199.95/mo – 30 extensions, 12,000 minutes. Extra extensions $5.95 includes extra 100 minutes. 2.9c add’l minutes. Also includes Web Conferencing and Call Recording free. For all plans except the 12000 plan, web conferencing is $19.95/mo, and call recording is $5.95/mo. Onebox has one feature that no other major VoIP provider offers: A live receptionist. Instead of just an auto-attendant, subscribers to this option can replace having a full-time secretary with a receptionist from Onebox. Instead of a person at your office, a person from the Onebox team will remotely answer the phone and transfer your calls. The option is a little pricey, though. Option 1 gives you 50 minutes of live receptionist services, less than an hour, and includes 2000 minutes of regular voice minutes for $129.95/mo. Option 2 gives you 100 minutes of live receptionist services and the same 2,000 voice minutes for $179.95/mo. Both RingCentral and Onebox support many of the same hosted PBX features. RingCentral subscribers can use the Call Controller to manage calls. The Call Controller has the ability to send faxes and make calls directly from your computer. 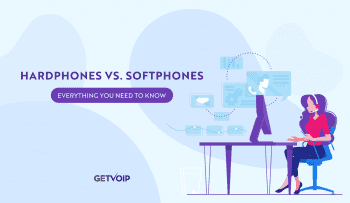 Onebox uses the SIP protocol to allow users to set up their own softphones. RingCentral subscribers can send faxes using documents stored on their Box, Dropbox, or Google Drive account, and make calls from their contact list on Outlook. You can send faxes to multiple recipients at once. You do not need a separate number for faxes, although you have the option to do so. Onebox sends and receives PDF and TIFF faxes via email only. The fax message can be sent to many recipients at once, and can be sent to more than one number if the first number doesn’t accept the fax. For both RingCentral Professional and Onebox subscribers, each fax sent or received uses up one minute. RingCentral Office subscribers get unlimited faxes. Onebox and RingCentral offer different tiers of US-based phone technical support. Onebox tech support is based on the severity of the problem, not the customer’s service level. Level 1, which handles basic questions, is available 24/7. RingCentral tech support is available based on your level of service. Pro subscribers only get web support. ProPlus, ProPower, and RingCentral Office subscribers with 1 subscriber get web and phone support 5AM-9PM PT Monday-Friday. RingCentral Office subscribers with 2 or more subscribers get 24/7 phone support. RingCentral Office subscribers can have audio-only conference calls with up to 1,000 participants. There is no extra charge for conference calls. RingCentral Professional plans do not include conference calls. For Onebox subscribers, up to 95 participants can have an audio-only conference call. Every participant multiplies the number of minutes used in the call. RingCentral Office subscribers can use their smartphone or tablet to have video conferences with file sharing at no additional charge. RingCentral Professional subscribers do not get video conferencing. Standard subscribers get 4 participants per meeting. Premium subscribers get 25 participants per meeting. Enterprise subscribers get 50 participants per meeting. Onebox offers videoconferences with file sharing for an additional fee of $19.95/mo, or free for 12000 Plan subscribers. RingCentral and Onebox both have mobile apps for iOS, Android, and BlackBerry, both give you the ability to sync your contacts with MS Outlook as well as support SMS texting using your business phone number. RingCentral and Onebox also support a click-to-call widget. The widget is a graphic on your web site that visitors can click to instantly call your phone number and finally both RingCentral and Onebox have an available premium service that you can use to have professional voice actors record customized greetings, prompts, and on-hold messages. Onebox has voicemail transcription, but as of this writing, RingCentral does not have native voicemail transcription. Onebox Auto-attendant is only available to Receptionist subscribers. All plans support a dial-by-name directory. 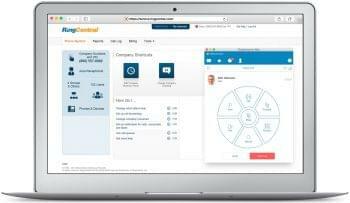 RingCentral Pro subscribers get an auto-attendant but no dial-by-name directory. All other plans get both. For basic plans with under 2,000 minutes, RingCentral Professional is a winner on price. For plans that require a large number of minutes, RingCentral Office is a good bet. If you have a toll-free number, RingCentral will give you lots of minutes, but having a toll-free number on RingCentral Professional is not significantly better than having Onebox. To hit that sweet spot of 2-20 subscribers, Onebox and RingCentral are about even. Onebox offers some features as a premium option that aren’t available for lower RingCentral plans, but come standard at higher tiers, so if there’s a particular feature you need, take that into account when you pick your provider. Because both providers have a great selection of plans to tailor for your needs and budget, there is no clear better choice between these two providers for most SMBs.